Spouses of U.S. citizens do have special immigration privileges. They benefit from certain provisions in the law that are favorable in cases where the intending immigrant has overstayed a visa. But it’s important to get a picture of the entire landscape. By itself, marriage after a visa overstay does not solve the immigration problem. It can put the immigrant in a position to return to a lawful immigration status. As the spouse of a U.S. citizen, the immigrant can generally become a permanent resident (green card holder). First, it’s important to define visa overstay because it isn’t as obvious as many think. 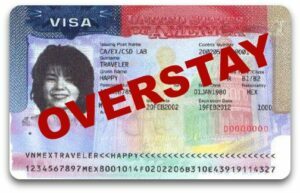 When a foreign national remains in the United States longer than the period of authorized stay, it’s called “overstaying” a visa. But don’t refer to your visa for this information. A nonimmigrant visa may be valid for several years. However, the visa does not govern the length of your authorized stay in the U.S. — it merely allows you to enter the United States during that time period. Instead, your Form I-94 Arrival/Departure Record governs your authorized stay in the United States. The “admit until date” on your I-94 record is the last day you are permitted to remain in the U.S., and it may not be valid for as long as the visa is valid. 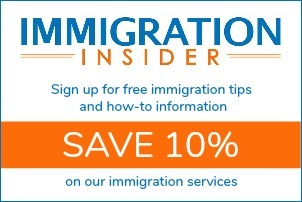 You must depart the U.S. by the date on the Form I-94, or you will have overstayed the visa. U.S. Customs and Border Protection (CBP) issues an I-94 Arrival/Departure Record when a foreign traveler enters the United States. Modern I-94 records are available electronically if the foreigner traveled by air or sea. Lookup your I-94 on the I-94 Website. However, if you entered through a land border port of entry, you most likely received a paper I-94. Whose lawful immigration status expired or was rescinded, revoked, or otherwise terminated. Persons who have accumulated 180 days or more of unlawful presence, and have then left the country, cannot return to the United States for 3 years. Persons who have accumulated one year or more of unlawful presence, and have then left the country, cannot return to the United States for 10 years. It is possible in certain circumstances to obtain a waiver for a bar to reentry. However, there’s a high standard to prove that the U.S. citizen’s spouse would suffer “extreme hardship” if not granted the waiver. 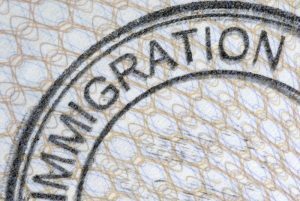 We highly recommend using an experienced immigration attorney to request this waiver. Needless to say, this gets expensive. There is another solution for individuals who are married to a U.S. citizen and have not yet departed the United States. Adjustment of status is the process that a non-immigrant visitor (e.g. student, tourist, etc.) uses to change status to a permanent resident from inside the United States. It’s only available to certain people, typically immediate relatives (spouses, parents, and unmarried children of U.S. citizens) that are already in the United States and meet other eligibility requirements. Generally, a foreign national is barred from adjustment of status if the foreign national is in an unlawful immigration status on the date of filing the adjustment application. But a provision in the law exempts the immediate relatives of U.S. citizens from the visa overstay. The spouse of a U.S. citizen is considered an immediate relative. It is necessary for the spouse to have a lawful entry to the United States to be eligible for adjustment of status. Entering the U.S. with a valid visa counts as a lawful entry, even if that visa has since expired. However, someone who has entered without inspection (snuck across a border) is generally not eligible. In some cases, persons with DACA status have been able to travel abroad using advance parole and make a lawful entry upon return. Even if the DACA recipient’s original entry to the U.S. wasn’t lawful, entering through a port of entry with advance parole qualifies as a lawful entry. So not anyone can adjust status – the spouse of the U.S. must have a lawful entry to adjust status. By returning to the home country to undergo consular processing for a green card, spouses with a significant period of unlawful presence will trigger a bar to reentry. In the best cases, this will be an expensive and time-consuming process that requires to assistance of a lawyer. In the worst cases, the result could be catastrophic to the immigration process. 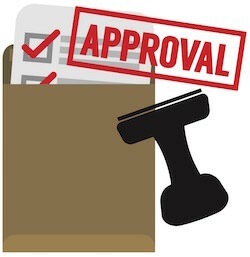 A complete adjustment of status packet will also include several supporting documents as required by each USCIS form. For a more comprehensive overview of the AOS process, please see Family-Based Immigration in the United States. For a complete list of supporting documentation, refer to the USCIS website or use CitizenPath to prepare your paperwork. USCIS vigilantly reviews cases for any type of immigration fraud. Remember that virtually every U.S. nonimmigrant visa is temporary in nature and has a specific purpose. When you begin doing things outside the scope of that visa, there is the potential for violating the terms of the visa and even being accused of fraud. There are two types of fraud typically associated with obtaining a green card through marriage. Misrepresenting the reasons for requiring a particular type visa of visa is a form of visa fraud. So if you visit the U.S. on a tourist visa (B-1) with the secret intention of getting married, you will have committed visa fraud. Your “intent” is the central focus here. A tourist visa is specifically for people who intend to stay temporarily and then return home. Someone who plans to marry and then remain in the United States is violating the terms of the visa. Visa fraud can result in losing the right to obtain a marriage-based green card. Marriage fraud is when at least one of the parties of a marriage entered into the marriage for the purpose of circumventing immigration laws to falsely acquire immigration benefits. In other words, getting married for the primary purpose of obtaining a green card is a clear case of fraud. Marriage fraud results in steep penalties, including jail time and fines. What’s more, it will most likely eliminate the possibility of getting approved on a future green card application. There is a burden of proof on the couple to prove that the marriage is bona fide. So don’t think that you can easily trick the system. Heidi, a British citizen, enters the United States on a K-1 (fiancé visa) sponsored by her U.S. citizen fiancé. The couple ultimately decides that they do not want to get married, but Heidi remains in the U.S. Heidi quickly meets another U.S. citizen and marries a short term later. She has overstayed her visa and hopes to adjust status to permanent resident based on her new relationship. Heidi is not eligible to adjust status. Instead, she must leave the United States and apply through consular processing. By the time she departs the U.S. she has accrued over 180 days (but less than a year) of unlawful presence. The three-year bar is triggered, making her consular processing much more complicated, time-consuming, and expensive. Jaime, a citizen of Columbia, has been dating his U.S. citizen girlfriend for several months. They initially met when she visited Columbia. They have maintained a long-distance relationship over the phone and a couple of visits. The couple can’t stay separated any longer and decides to get married. Jaime buys a ring in Columbia and travels to the United States on a B-1 tourist visa so that they can get married. The problem is that the B-1 visa – as well as most temporary U.S. visas – have a nonimmigrant intent. That is, you are making a promise to return to your home country before the visa expires. In this situation, U.S. immigration officials will likely consider this a misuse of a tourist visa. Overstaying the visa after the marriage just makes the problem worse. Instead, Jaime’s girlfriend should have requested a fiancé visa (K-1). Although the process would have taken a few extra weeks, there would be no problems. Kenji, a Japanese citizen, has been studying in the United States on an F-1 student visa. During the course of his stay, he met a U.S. citizen. The couple decides to get married and settle in the U.S. Innocently, the couple doesn’t realize that marriage doesn’t automatically provide a lawful immigration status. Kenji has overstayed his F-1 visa by 200 days before he realizes that he’s unlawfully present in the U.S. He decides to quickly return to Japan and apply for a green card there. However, the departure triggers a three-year bar. Without the assistance of an attorney and a waiver, he won’t be able to obtain a green card and return to his spouse in the United States. Had he used the adjustment of status process to obtain a green card, he could have avoided the expensive and lengthy trip to Japan. Karun, a citizen of India, came to the U.S. on a work visa. She met a U.S. citizen and began dating. Unfortunately, she was laid off by her employer. But she didn’t return to India because her relationship had gotten very serious. A year after her immigration status had terminated, the couple got married. Now, she is unlawfully present and married to a U.S. citizen. By filing an adjustment of status application, Karun can become a permanent resident without leaving the United States and without the need for a complicated waiver. Although the spouse of a U.S. citizen (or other immediate relatives) may adjust status to permanent resident after a visa overstay, that does not protect the immigrant from enforcement during the period of unlawful presence. In other words, the immigrant is still vulnerable to deportation from the moment he or she falls out of status up until becoming an adjustment of status applicant. The discussion above also assumes that the intending immigrant does not have criminal offenses or immigration violations that otherwise make the person ineligible for permanent residence. Anyone with these serious complications should consult with an immigration attorney. CitizenPath provides simple, affordable, step-by-step guidance through USCIS immigration applications. Individuals, attorneys and non-profits use the service on desktop or mobile device to prepare immigration forms accurately, avoiding costly delays. CitizenPath allows users to try the service for free and provides a 100% money-back guarantee that USCIS will accept the application or petition. We provide support for the Adjustment of Status Application (Form I-485), Petition for Alien Relative (Form I-130), Citizenship Application (Form N-400), and several other commonly used immigration forms.